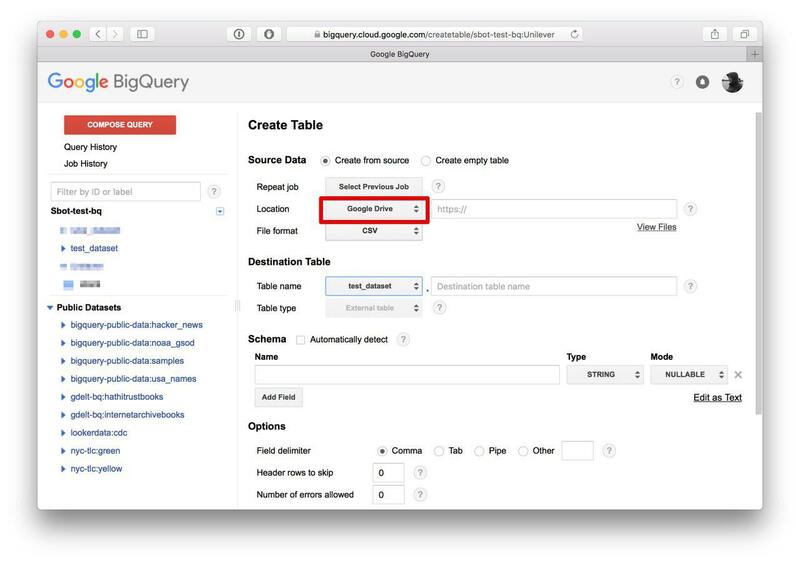 If you have BigQuery database you can sync your Google Sheets with it and then connect BigQuery to Statsbot to make further analytics, build charts, and dashboards. In case you yet haven't created a table from sheet in your BigQuery, open a dataset in your DB, click "Create new table" and choose Google Drive as data location. Paste spreadsheet's URL into the form. 2. 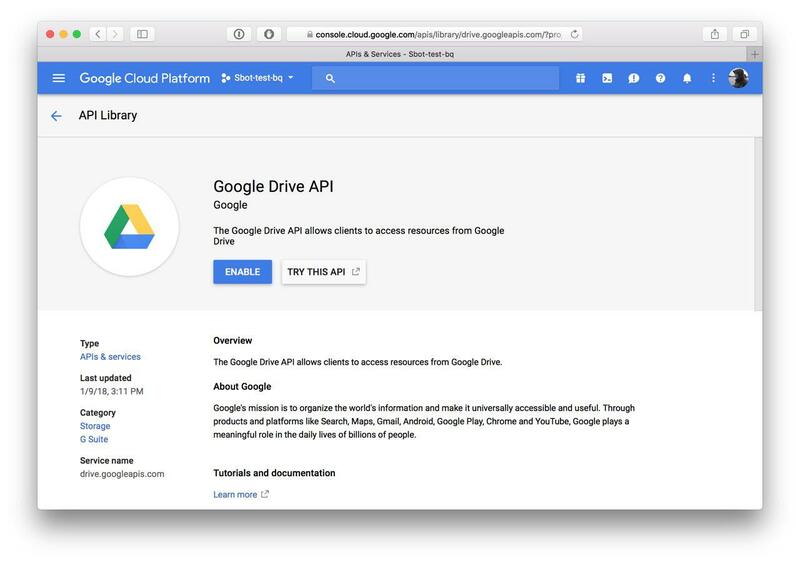 Login into https://console.cloud.google.com, find "Drive API" in "API Library" and click "Enable" button. 3. 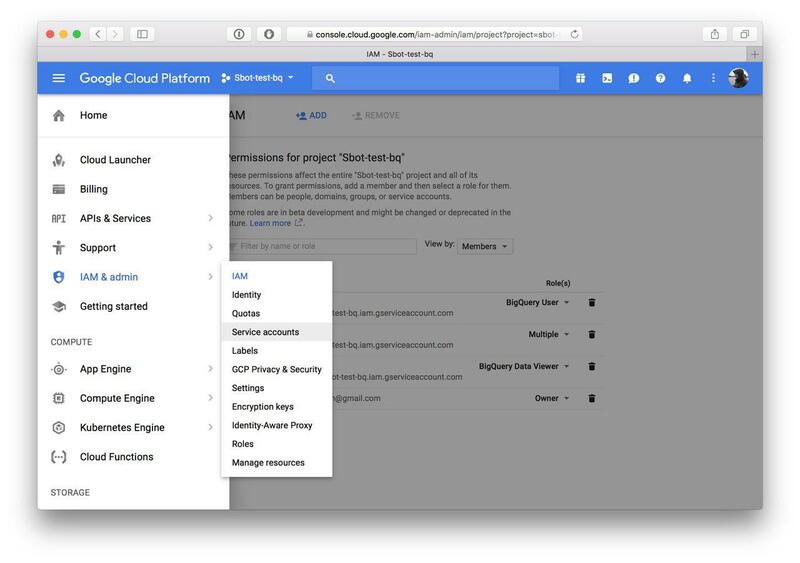 Open "IAM & Admin" -> Service accounts and find service account that you use with Statsbot. 4. 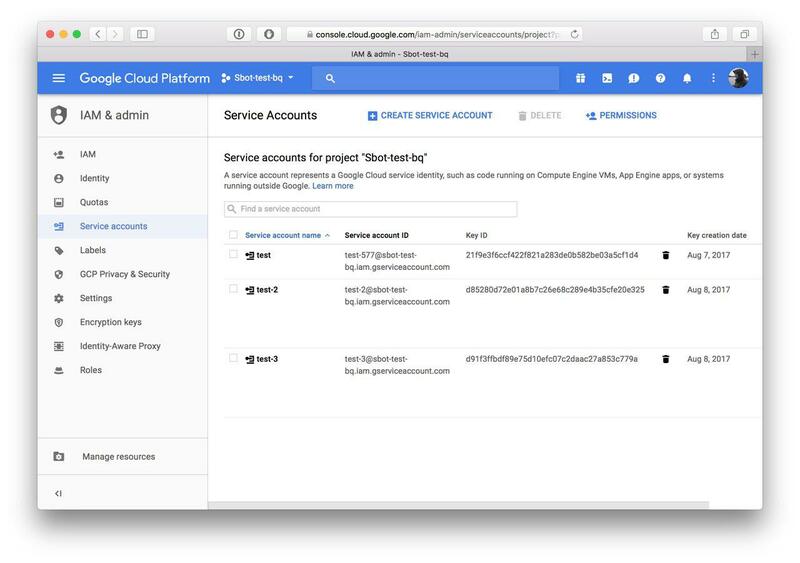 Copy this service account's email address listed under Service account ID column. 5. 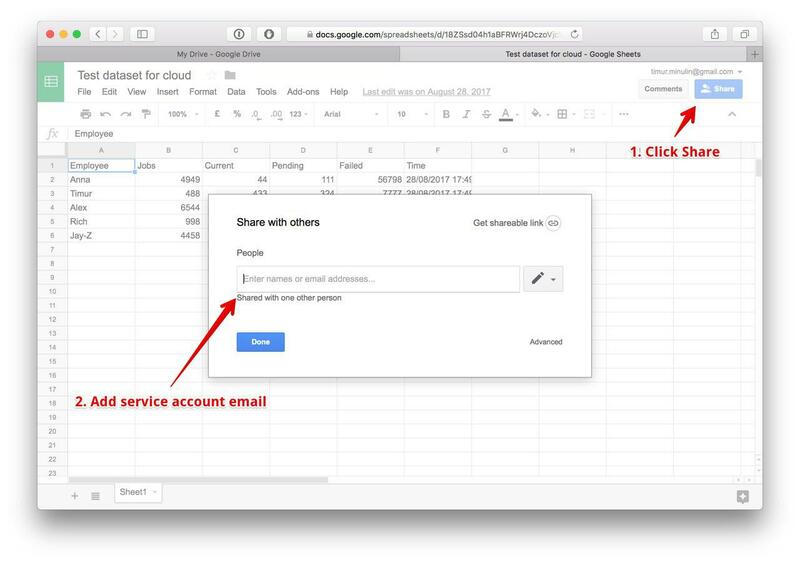 Open the spreadsheet you'd like to sync with your BigQuery database and share it with the service account's email. Same as you would do with your colleague. Read-only access is enough. 6. Once done, please sign in to Statsbot, visit Data Sources section and sync your BigQuery. In case you have any questions, don't hesitate to reach us out in our support chat, we'd be happy to assist.